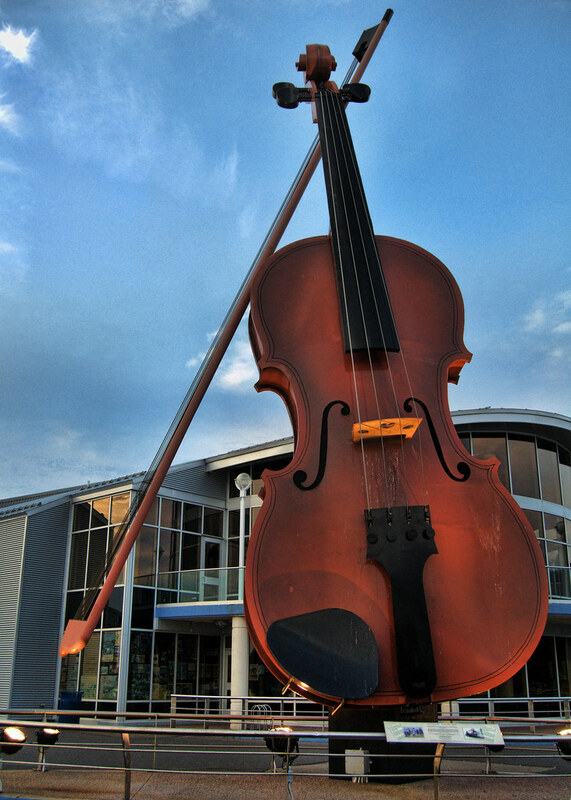 I was back in Sydney last week and I decided to target the big giant fiddle again. 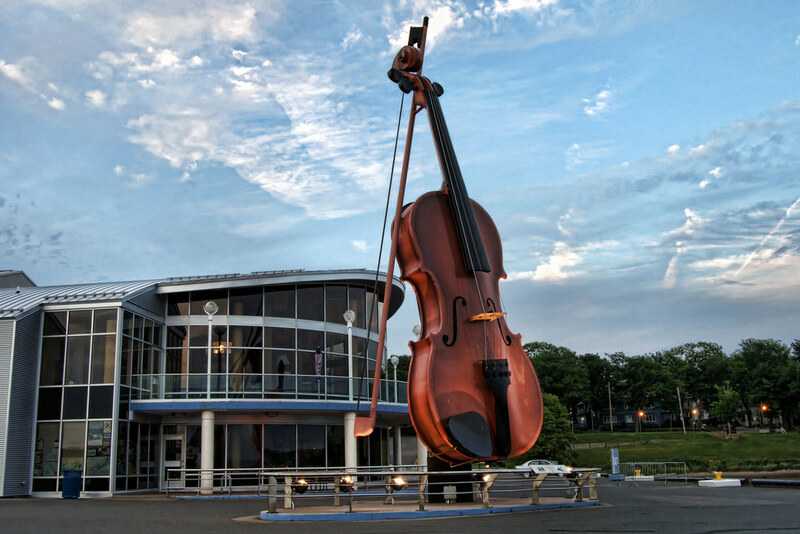 It sits in front of the Sydney Opera House (Sydney NS not AUS). Excellent! I'd say you have definitely improved. Numbers 2 and 3 are nice. Number 1 is cool but I think I'd like it better if there were a little less of right hand "dead space". Excellent set with nice light. You are right Iggy about the first shot and the dead space. I was struggling to keep the fiddle in and keep a 'normal' crop. I will probably have to go back and crop it out. Yes, it's #2 for me as well ... good eyes, Bambi, and great compositions. Well done, Bambi. I love the second one - it really shows, how big it is! How cool is that!!!! in the uk news today they were talking about tearing down an artists 'giant chair' as it was causing to much traffic were it resided. 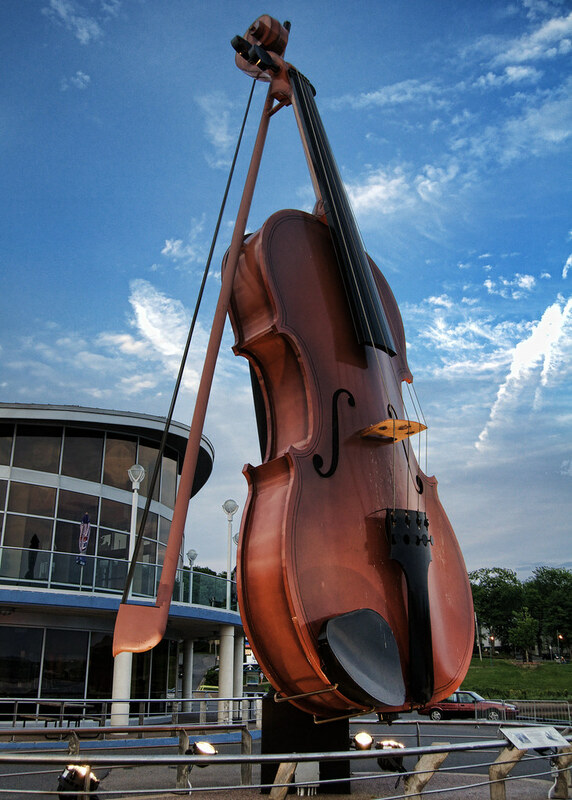 I think the fiddle trumps the chair, that is awesome.